Templeton Planning Group was responsible for designing the Manila Southcoast Resort located on the large island of Manila in the Philippines. Located on a beautiful coastal area of the Philippines, the Manila Southcoast Resort will prove to be one of the premier coastal resorts in the South Pacific. The 40,000 acre site is approximately one hour southeast of Makati City and it consists of 12 large bays, 27 beaches, and several offshore islands in the Pacific Ocean. The first phase of this guard gated community resort will provide second home opportunities for Philippines residents. The residential portion of the project will include custom lots, premium custom lots, estate lots, large villa lots, townhomes, and condos. 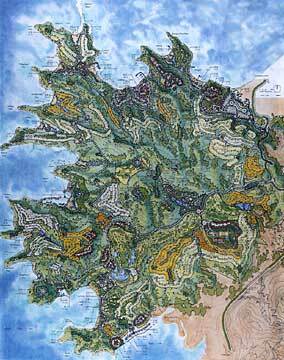 The site also includes a championship 18-hole golf course, marinas, and five resort hotels. Other recreational and commercial elements include sport clubs, yachting center, zoo/aviary/botanical gardens, observatory, various restaurants, aquarium/seaside festival complex, and a water adventure theme park.